From the Weiste Luxurious Silver Collection. 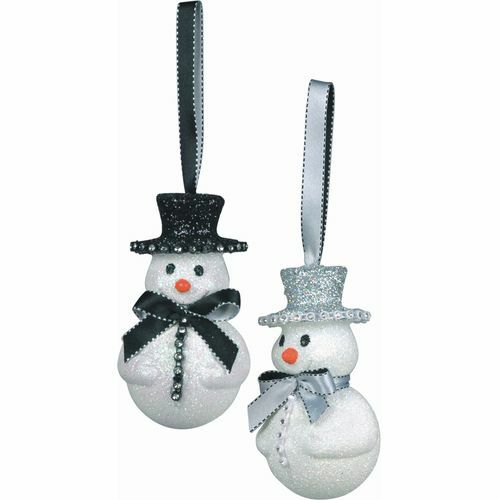 A set of 2 Snowmen Christmas Tree Decorations, one is wearing a black top hat trimmed with diamentes on the brim and wear a black neck bow. Whilst the other Snowman wear a silver top hat and a silver neck bow. Approximate height of Snowmen 10.0cm.